A head-on crash in Yonkers Thursday night seriously injured three people. 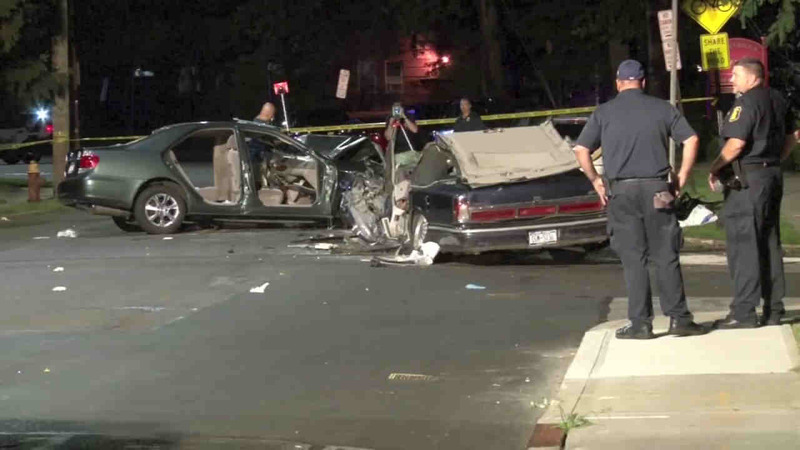 YONKERS, New York (WABC) -- A head-on crash in Yonkers Thursday night seriously injured three people. The victims were extricated from two vehicles on Palmer Road and were taken to Jacobi Medical Center with serious injuries. Palmer Road was also the site of a fatal accident in February earlier this year that claimed an off-duty Yonkers police Detective Frank Fernandez. He was killed when his SUV crashed into a Yonkers firetruck on Valentine's Day.